Welcome to Bourbon Street in the famous French Quarter of New Orleans, Louisiana where the party literally never stops. Spend a few hours, a few days, or the rest of time on Bourbon Street and I bet you’ll never be bored, and maybe never sleep either. 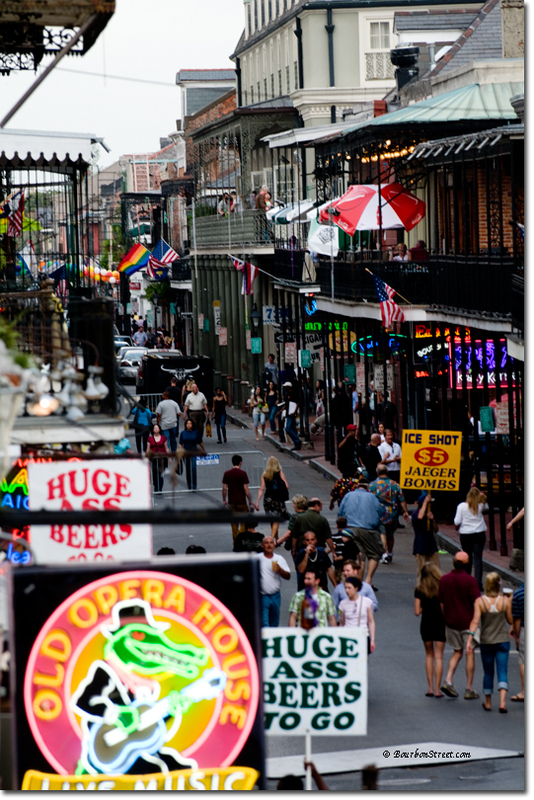 There is much to do on Bourbon Street regardless of your taste in music, clubs, food, or just people watching. Bourbon Street from a balcony.